Finally – because we have been capable of this, we have had the resources, and now the University is beginning to centralise them. Why is the prospect of a debt-free Cambridge education so important? The wealth gap in Cambridge is no secret: earlier this year, we were ranked as the UK’s ‘most unequal city’. It is hard not to feel the impact of that as a student from a low-income background. Take, for instance, the way in which student debt has long been silently accepted. Let’s make no mistake - the narrative that student debt is a minor inconvenience, that it will be gradually paid off in unnoticeably small payments throughout one’s life and graciously deleted after one turns fifty - is a privileged one. Even those students who currently receive maximum maintenance loans from the government expect to owe upwards of £60,000 by the end of a three-year degree. The emotional burden of such monumental debt should not be underestimated. So many families cannot justify such a plunging leap into debt, often in addition to existing family debt. Expecting the children of these families to apply to Cambridge regardless of their financial circumstances is naïve. Cultural and race-related intersections complicate this too. Yes, it is difficult to discuss how responsibility for repaying – and guilt for accepting – finances beyond one’s own can dissuade low-income students from applying to an institution like Cambridge, but those underlying fears are deeply present. We cannot ignore them, and a debt-free scheme signals the University’s long-awaited reaction to these barriers to higher education. 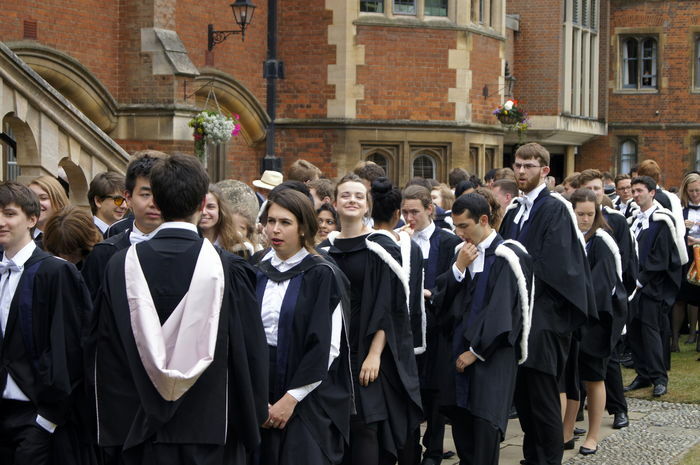 What do you think of Cambridge’s planned bursary reforms? We must not turn a blind eye to the importance of such a scheme, to Cambridge in particular. Our University’s unique (and controversial) prohibition of its students taking on part-time employment, does not only often create financial issues for its poorest students, but also epitomises what seems to be the University’s approach to its students’ financial situations. Such a rule presupposes that students will always have their parents’ shoulders – and wallets – to stand on throughout their degrees. We know that this simply is not true, with complicated home situations rarely accounted for. It is this vast, foggy, no-man’s-land of individual family circumstance that the current inevitability of student debt ignores. 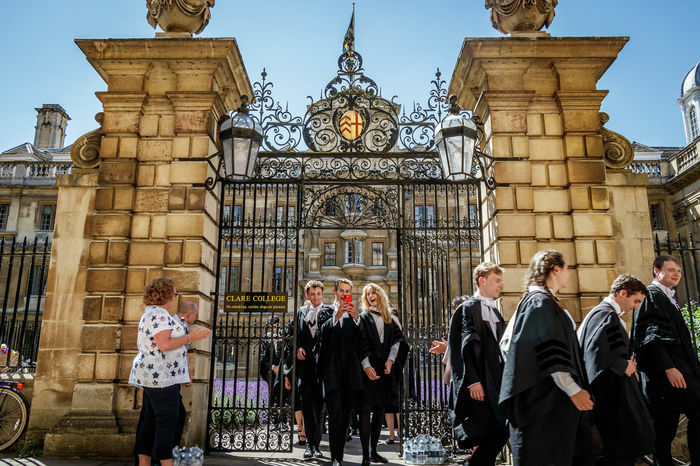 Erasing student debt for the University’s poorest students limits the power that individual financial circumstances have to deter deserving applicants from applying to Cambridge. Controversial as this might be to some, this is a good thing. An access initiative aimed at the students that most need it, is a good thing. Of course, debt-free education is what so many of us fight for when we campaign against the marketisation of higher education - this is how it should be for everyone! But we must also acknowledge that for the less privileged members of society, the toss-up between university and work is already skewed against the former. Some might call this scheme a ‘bribe’, a kind of plan hatched by the University to seduce uninterested students from poorer socioeconomic backgrounds into its ranks. This argument is both cynical and classist. Poorer students are not underrepresented at Cambridge because they simply don’t want to be here, but often in fact, because the prospect of student debt is an enormous deterrent. What’s more, this entirely passes over the glaringly obvious: in order to receive such a bursary, one would still have to jump through the many-fiery-hooped obstacle course that is the Cambridge application process. Arguments like this err towards the ‘pull yourself up by your bootstraps’ ideology - which is unequivocally classist. This scheme is what levelling the playing field should look like in concrete terms. Inclusivity means very little unless it is supported by actions, and I am excited by what this kind of action can mean for the future of Cambridge access. This won’t help everyone who needs helping right now, but it is a significant move. A big ‘put-your-money-where-your-mouth-is’ decision like this smells an awful lot like empathy and that, I believe, is the first step towards more pervasive institutional change.